The International Narcotics Control Board (INCB) today said any relaxation in the vigil on borders between India and Pakistan could lead to an increased smuggling of narcotics, specially from Afghanistan. The International Physicians for the Prevention of Nuclear War is disillusioned with the reluctance of India and Pakistan to give up nuclear weapons. With senior leaders declining to enter the electoral fray, the Congress party is having a tough time finding strong candidates for the coming Lok Sabha elections. The Congress today described Deputy Prime Minister L.K. Advani’s proposed rath yatra as a reflection of the inner power struggle within the BJP. Economic experts of the Congress will be travelling to different state capitals to interact with industrialists and corporate chiefs to discuss anomalies in the NDA government’s economic policies. 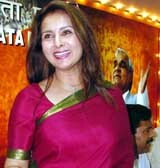 Cine actress Poonam Dhillon today formally joined the BJP saying that the BJP-led National Democratic Alliance could only provide a stable government at the Centre. A Sikh couple at Made in Pakistan Exhibition in the Capital on Wednesday. 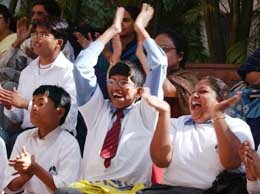 Mentally challenged children cheer in support of their school-mates during an inter-school quiz competition organised by 'Four Steps' in New Delhi on Wednesday. Former Chief Minister Kalyan Singh holds key to the selection of BJP candidates for the coming Lok Sabha elections with other senior party leaders being made to play second fiddle. Mr Sudip Bandopadhyya, former Trinamool Congress chief whip and the sitting MP from Kolkata NW constituency, has been denied party ticket for the forthcoming Lok Sabha poll. The All Indian Muslim Personal Law Board (AIMPLB) today accused the Congress and BJP of using the Babri Masjid dispute. The opposition Shiv Sena-Bharatiya Janata Party combine in Maharashtra is disappointed that the state legislature hasn’t been dissolved for simultaneous Assembly and Lok Sabha elections. The Supreme Court has severely pulled up the Punjab and Haryana High Court for not “applying its mind” in a case of suicide by a woman from Haryana. She was allegedly harassed by her husband for not being “good looking” and forced to take the extreme step of ending her life 18 years ago. Northern Railway has made special arrangements for passenger rush during Holi, Urs pilgrimage and engineering and medical entrance examinations. The Railways has introduced special parcel express trains with scheduled timetable and route on eight important routes connecting major cities. Political parties in Tripura demand postponement of general elections. Sand sea turtles to protect the endangered species. Mumbai hosts Florida Water ski show. 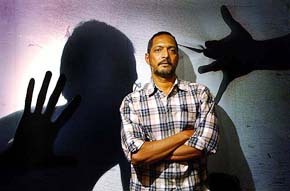 Meenaxi, 'A Tale of Three Cities,' set to rock cine buffs. Mr Gary Lewis, Representative, United Nations Office of Drug and Crime (UNDCO), told reporters after the presentation of the 2003 INCB report, that the recent thaw in the India-Pakistan relations could lead to a relaxation in vigliance on the border resulting in increased smuggling of narcotics. He said a bumper crop of opium poppy was expected in Afghanistan leading to a sharp increase in the smuggling of narcotic drugs. Mr Lewis said a recent survey had shown that one in every four farmers in Afghanistan was growing poppy and two out of three had increased poppy cultivation. INCB member M.M. Bhatnagar said more production of opium raw material was fraught with danger of supply to illicit channels. He said despite a change of regime in Afghanistan, heroin continued to be smuggled out of the country. Mr Bhatnagar said Afghanistan needed to be assisted for creating avenues of alternative employment. Mr B.B. Mishra, Special Secretary, Ministry of Home Affairs, said the problem of smuggling in narcotics was more complex due to the link between drug trafficking and terrorism. He said India was on the transit route of the traffickers. Mr Mishra said India could be seriously affected by these developments with enhanced smuggling taking place through the Golden Crescent. The INCB report says that South Asian countries continue to be used by drug traffickers as transit route because of their proximity to the world’s most prolific opiate production areas in South East Asia and South West Asia. It says that governments in South Asia assume that drug trafficking was one of the major sources of funds for terrorist groups. “Terrorism along national borders is considered a serious issue, as insurgent groups are relying on trafficking in narcotic drugs as a prime source of finances used to procure arms,” it says. Besides analysing the situation in different parts of the world, the 92-page report deals with the micro-level impact of drugs, the crime and violence and operation of international drug control system. The INCB is an independent monitoring body for implementation of United Nations international drug control conventions. The International Physicians for the Prevention of Nuclear War (IPPNW) is disillusioned with the reluctance of India and Pakistan to give up nuclear weapons. Dr Ronald McCoy, IPPNW president, is keen on involving doctors of India and Pakistan to take forward the campaign to eliminate nuclear weapons. The task of organising the meeting between doctors of the two countries in Karachi in June end has been entrusted to Dr Tipu Sultan, president of the Pakistan Doctors for Peace and Development and Professor of Anaesthesia in Karachi Medical College. The Malaysia-based president, who addressed a seminar here on “war, violence and health: South Asia perspective” said both countries were not facing the reality of nuclear weapons. ``The reality is that nuclear weapons make a country more insecure because they immediately become potential targets of nuclear weapons from nuclear weapon states. The IPPNW president said India should show a way that would lead to denuclearisation of the region. For instance, there are as many as 10 seats in Rajasthan where the Congress is unable to zero in on winnable candidates. Admitting as much, senior Rajasthan Congress leaders said the constituencies where the problem was particularly acute were Jaipur, Jodhpur, Bharatpur, Chittorgarh, Bhilwara, Ajmer, Sawai Madhopur, Kota and Jhalawar. Similarly, in Gujarat, the party would like to field a tough candidate against deputy Prime Minister L.K. Advani in Gandhinagar but has, so far, failed to come up with any impressive name. The Gujarat Congress and senior AICC leaders were persuading former PCC chief Shankersinh Vaghela to take on this challenge but he has refused and will contest from his old constituency, Kapadganj. The other Lok Sabha seats which are proving problematic include Ahemdabad, Rajkot, Bhavnagar and Bharuch. Mr Ahmed Patel, Congress President’s political secretary, is being persuaded to take the plunge from Bharuch, his old constituency, but is stated to be wavering. At present, a Rajya Sabha Member, Mr Patel is learnt to have told the party leadership that he will contest if they are unable to find a suitable candidate. The Central party leadership was also persuading former Gujarat chief ministers Madhavsinh Solanki and Amarsinh Chaudhary to run for the Lok Sabha but they, too, have declined. Both are pitching for their sons, who are sitting legislators. Other senior leaders who do not want to enter the fray include Mr Pranab Mukherjee and Dr Manmohan Singh, who were both being persuaded to contest by their respective state units. Dr Manmohan Singh, who was offered the Ludhiana seat by the Punjab Congress, has declined on health grounds while Mr Mukherjee, who was being considered for the Jangipur seat in West Bengal, may opt out as the party needs him to supervise the elections. There is, however, a strong view in the party that senior leaders should contest the elections as the contest then acquires a higher profile and also enthuses the cadres. As it happens, the AICC screening committees which are in the process of finalising the panel of candidates, are facing a major problem as the names being sent from the states are not up to the mark. The AICC had directed its state units that they should only send names of winnable candidates. 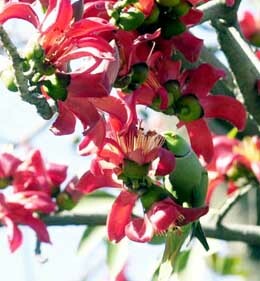 But as it happens, the task is proving to be much tougher than envisaged earlier. Congress insiders said after their dismal performance in the recent Assembly elections, it is absolutely vital that the selection of candidates is based on merit and not just on the recommendations of a few select leaders. The party’s defeat in Rajasthan particularly was attributed to the poor selection of candidates and that the leadership failed to drop the unpopular sitting MLAs despite warnings to that effect. “It is not a journey from Northern to Southern India but a yatra from North Block to South Block,” Congress spokesperson Salman Khursheed said here today. For the uninitiated, it has to be pointed out that Mr Advani’s present office is housed in North Block while the PMO is located cross the road on Raisina Hill in South Block. Another senior Congress leader even went as far as to state that Mr Advani’s yatra was only meant to drop the deputy from the his present designation. Mr Khursheed said on one hand the BJP had projected Prime Minister Atal Bihari Vajpayee as their main vote-catcher and, on the other, it is making plans to get votes in somebody else’s name. The main purpose is to plant another face behind the Prime Minister and this yatra is meant to give that face legitimacy, he added. The Congress spokesperson also maintained that the “jansamparak abhiyan” launched by their party president Sonia Gandhi had rattled the BJP and Mr Advani’s rath yatra was a response to her programme. He said the Congress does not feel the need to counter Mr Advani’s rath yatra but will instead plan its own campaign and force the BJP to respond to it. Already 35 senior and youth leaders are travelling to different parts of the country for interactive sessions with the public and party workers. They will now be joined by a group of 35 mahila Congress leaders who will also cris-cross the country to reach out to the women. Senior AICC leader and former Commerce Minister Pranab Mukherjee is going to Mumbai on Thursday where the state unit has organised a meeting with a group of industrialists. Former Finance Minister Manmohan Singh as well as Mr Jairam Ramesh and Dr Arjun Sengupta of the AICC Economic affairs department will also be holding similar sessions in different parts of the country. Besides putting forth their views, these leaders will also use this opportunity to hear what India Inc. expects from them. These would serve as important inputs for the alternate vision paper on economy which the Congress party’s economic experts are currently drafting. Party sources said these leaders would discuss the NDA government’s India Shining campaign and point out that the claims of eight per cent growth are nothing but a myth. Other issues like working capital, hot money and the problems of small-scale industries are expected to figure in these discussions. “During these meetings, we hope to convey that the NDA government’s policies have not really helped the economy and unless the economy booms, how can industry flourish,” explained a senior Congress leader. It will also be pointed out that the country’s present forex reserves of $ 100 million are basically being parked here by European and other investors to take advantage of the higher interest rates in India. “If these funds were being invested in the agriculture and manufacturing sectors, it would be understandable but that has not happened,” Mr Pranab Mukherjee explained. The Chandigarh girl, who had in the recent past joined the Congress and had even campaigned for it, today justified her decision to join the BJP saying “everybody has the right to change his or her decision”. She said during Vajpayee’s tenure the country had seen all-round development and its image had improved considerably in the world. On the foreign origin issue, Poonam Dhillon said: “I don’t want to make any personal comment on Congress President Sonia Gandhi, which I believe will not be in good taste.” She was flanked by Pramod Mahajan and additional spokesperson Prakash Javadekar. The quartet of Union Agriculture Minister Rajnath Singh, Leader of Opposition in the State Vidhan Sabha Lalji Tandon, incharge of UP affairs Kalraj Mishra and Om Prakash Singh have been asked to “cooperate” with Mr Kalyan Singh in selection of candidates. “Selection of candidates would be a collective decision. District party workers have been asked to give the names of ‘good’ candidates from their areas,” Mr Kalyan Singh told The Tribune today. The national leadership, buoyant after his homecoming, has made the former Chief Minister chairman of the election committee with Kalraj Mishra as his deputy. Mr Kalyan Singh is busy going through files, meeting people and getting response about the prospect of the BJP in the elections. “I have asked party workers to unitedly fight the coming elections to give Atal Bihari Vajpayee another five years to build a strong and prosperous India,” he said. Refusing to elaborate whether fresh candidates would be given a chance, he said that the selection of candidates would depend on his prospect to win the election. “We will field good, disciplined, honest and popular leader as candidates for the election,” he said. When asked whether he would contest the elections, Mr Kalyan Singh said though he did not want to contest elections, he would not hesitate to lock horns in the elections if he was asked by the party high command to do so. Meanwhile, BJP leaders feel that Mr Kalyan Singh’s homecoming would benefit the BJP. Senior party leader and a former minister Premlata Katiyar said the Kalyan factor would benefit the BJP in western Uttar Pradesh. “Mr Kalyan Singh holds sway in western UP including Aligarh, Etah, Mainpuri and Hathras. His influence will benefit the BJP,” she said. On the other hand, the CPI(M)’s five-time MP from Mathurapur in South 24-parganas, Dr Radhika Ranjan Pramanick has been given the TMC nomination to contest against the CPI(M)in the same constituency. Mr Bandopadhyya who was one of the party’s founder members and a trustworthy associate of Ms Mamta Banerjee, was not only denied the ticket but had been threatened with a suspension order for six years if he defied the party decision and filed his nomination as an independent candidate or otherwise against the party candidate there. Incidentally, the Kolkata mayor, Mr Subrata Mukherjee, has been chosen as the party candidate in place of Mr Bandopadhyya. The TMC leadership, who announced the candidate list this afternoon in the presence of Ms Banerjee, made it clear that Mr Bandopadhyya had been denied ticket as “a punishment” for his hobnobbing with the BJP high command, particularly, the Deputy Prime Minister, Mr L.K.Advani, in bypassing the party leadership. Meanwhile, Mr Bandopadhyya declared he would fight from his old seat as an Independent candidate since he was morally bound to serve the local people who had elected him in 1999 poll with a massive margin. Both the Congress and the CPI(M) have declared their moral support to Mr Bandopadhyya. The CPI(M) secretary, Mr Anil Biswas, says Dr Pramanick is no longer with them as he had been already dismissed from the party on several charges of corruption. The TMC list reveals that they will be contesting in 29 of the 42 seats and the remaining 13 seats allotted to the BJP, though the BJP demanded 15 seats. “The Ayodhya dispute has been used by the political parties. First by the Congress and then by the BJP. Both parties showed pseudo-religious attitude towards the issue,” AIMPLB’s counsel Yosuf H. Muchhala told the Liberhan Commission, probing the demolition of disputed structure at Ayodhya on December 6, 1992. Describing the BJP as a “fascist” party, the AIMPLB accused its leadership including Deputy Prime Minister L.K. Advani and Union Minister M.M. Joshi of being “insensistive” towards the minority communities, particularly the Muslims. Sources in both the Shiv Sena and the BJP admit that they may just have to concentrate on the Lok Sabha poll leaving the fight for Maharashtra in the future. “We will meet with Election Commission officials next week and ask for simultaneous poll,” Gopinath Munde, president, Maharashtra BJP said here today. Mr Munde’s brother-in-law and party general secretary, Pramod Mahajan, had a few weeks ago threatened that MLAs from the Shiv Sena and the BJP would quit the Assembly if elections to the state legislature was not held with the Lok Sabha poll. However, Chief Minister Sushil Kumar Shinde refused to dissolve the state legislature. The state government had a mandate to stay in office for the whole five year-term that ends this November, he said. The Shiv Sena-BJP leaders now say they will decide on quitting the state legislature after meeting with the EC officials next week. “A final decision will be taken later,” Mr Munde said. Observers here say, Mr Shinde and NCP leader Sharad Pawar have trapped the saffron parties over the coming elections to the Rajya Sabha and the upper house of the Maharashtra legislature due in June next. Should the MLAs from the Shiv Sena and the BJP resign with the House not being dissolved, candidates of the Congress, NCP and their allies would sail through in the elections. Maharashtra has six Rajya Sabha seats. “Pramod Mahajan has repeatedly said they will resign. Now it is their turn to prove it. I challenge them to resign,” Mr Gurudas Kamat, president, MRCC told television channels here. There are 124 BJP-Sena MLAs in the 288-member Assembly. The Sushil Kumar Shinde government enjoys a wafer-thin majority. The Maharashtra government has recently faced severe embarrassment over the fake stamp paper racket masterminded by Abdul Karim Telgi. Its Deputy Chief Minister Chhagan Bhujbal resigned over the issue and former Mumbai Police Commissioner Ranjit Sharma and senior police officials are in jail for their links with Telgi. Lok Janshakti Party chief Ram Vilas Paswan today urged President A.P.J. Abdul Kalam to prevent the ‘India Shining’ yatra of Deputy Prime Minister L.K. Advani. Mr Paswan submitted a memorandum to the President urging him to prevent the yatra. Mr Advani had yesterday announced that he would criss-cross the country during a 33-day ‘India Shining yatra’ starting on March 10. Mr Paswan, who led a party delegation to the President, submitted another memorandum, demanding the dismissal of the Om Prakash Chautala government in Haryana in the wake of alleged atrocities on Dalits. Earlier, the party held a meeting near Jantar Mantar here. Rajya Sabha Deputy Chairperson Najma Heptullah today made a veiled attack on Congress President Sonia Gandhi saying that many people were taking undue advantage of being part of a dynasty. Speaking after presenting the Hakim Ajmal Khan awards to physicians here, Ms Heptullah said many people had taken advantage of being in a dynasty. “It is known to everyone,” she said without naming Ms Gandhi. Ms Heptullah said she had never taken advantage of being Maulana Abul Kalam Azad’s grand-daughter to rise in politics. She said India’s achievements, especially in the economic field were being appreciated around the world. The United Christian Forum has appealed to the electorate to vote for candidates of impeccable character. The appeal has been issued jointly by the Catholic Bishops’ Conference of India (CBCI), the National Churches Council of India (NCCI) and the Evangelical Fellowship of India (EFI). The forum has requested all church leaders to encourage voters to exercise their franchise, vote for candidates who are pro-Dalits and pro-adivasis and are committed to poverty alleviation, an egalitarian society and communal harmony. “We are constrained to observe that the High Court while disposing of the appeal did not even apply its mind to the facts of the case. A disturbing feature noticed by us is that the High Court merely repeated paragraphs after paragraphs from the judgement of the Additional Sessions Judge as if those conclusions were its own, reached on an appreciation of the evidence on record,” a Bench of Mr Justice N Santosh Hegde and Mr Justice B. P. Singh in a observation said. Sentencing Hans Raj, husband of deceased Jeeto of Kheri village, to a year’s rigorous imprisonment under Section 498 (driving a person to commit suicide) but clearing him of the charges of “abetting” an unnatural death under Section 306 of IPC, the apex court said it was in agreement with the findings of either the trial judge or the High Court. Jeeto committed suicide on August 24, 1986, four years after her marriage to Hansraj and had a seven-month- old daughter from him. She had taken the extreme step a few days after she was sent back to her husband’s house by her father even though she was reluctant to go there. It was alleged that because she was constantly harassed by her husband for not being “good looking” and was threatened that he would marry some other woman. The apex court said though the Sessions Judge had found that there was material to support the charge under Section 498 (driving a person to commit suicide) against Hans Raj, but it did not pass any order of sentence against him holding that it would be “overlapping” with the offence of “abetment” under Section 306 of the IPC, which the prosecution failed to establish. Both Sessions Court and the High Court had failed to apply the law properly, the apex court held. According to a press note issued here today, Northern Railway will run six Holi special trains on New Delhi-Jammu Tawi, New Delhi-Muzaffarpur, New Delhi-Patna and Amritsar-Katihar routes. 404 will run from Jammu Tawi on March 8. Special train number 416 will start from New Delhi on March 4. In the return direction, special train number 415 will run from Muzaffarpur on March 8. Special train number 430 will run from New Delhi on March 4. In the return direction, special train number 429 will run from Patna on March 8. These three pairs of trains will comprise 2-tier AC, 3-tier Ac, sleeper class and general second class. An unreserved special train, comprising 13 coaches, will also run from New Delhi to Patna on March 5 at 12.30 pm to its destination Patna the next day at 6 am. Another unreserved special train number 485/486 will run between Amritsar and Katihar. Special train number 486 will leave from Amritsar on March 4. In the return direction, special train number 485 will leave Katihar station on March 8. The Railways has introduced special parcel express trains with scheduled timetable and route on eight important routes connecting major cities. According to a press note issued here on Wednesday, these routes include Delhi-Howrah-Delhi, Delhi-Guwahati-Delhi, Delhi-Bangalore-Delhi, Mumbai-Lokmanya Tilak Terminal(LTT)-Guwahati-Mumbai (LLT), Mumbai (LTT-Shalimar-Mumbai (LLT), Chennai-Guwahati-Chennai, Nagpur-Tinsukhia-Nagpur and Sealdah-New Guwahati-Sealdah. These parcel trains will carry a variety of products to port cities from where these commodities are carried over to international markets.